Fresh rosemary is one of my favorite spices. I use it all the time in Italian cooking and also in many of my chicken recipes. It’s easy to grow and is a great one to start with for those who are new at growing herbs. The favor of this fresh herb is robust and the fresh herb is so much more flavorful than the dried version. I use it all the time when I cook chicken, lamb and beef with great results. 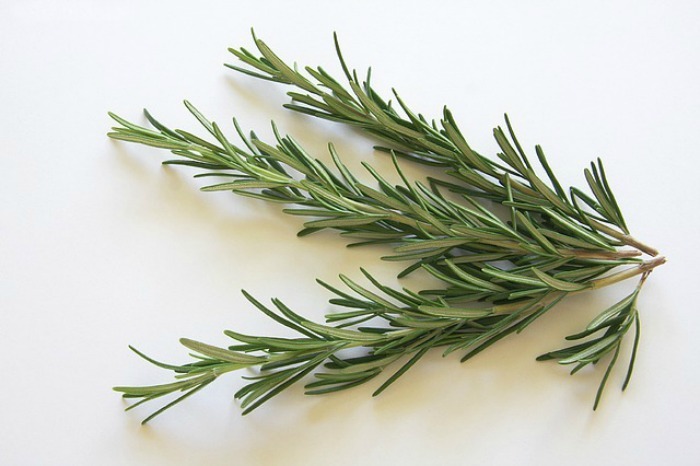 If you love vegetable gardening, be sure to also incorporate fresh herbs like rosemary into your garden plan. Rosemary is quite hardy and in some zones, will grow right through the winter months, but if you live in colder zones and frost is on the way, don’t despair. There are lots of ways to preserve fresh herbs to use during the winter months. The plant above is one that I have been growing for about 3 years in this planter and it keeps going all through the year, even when the weather gets much cooler in the winter here in NC. 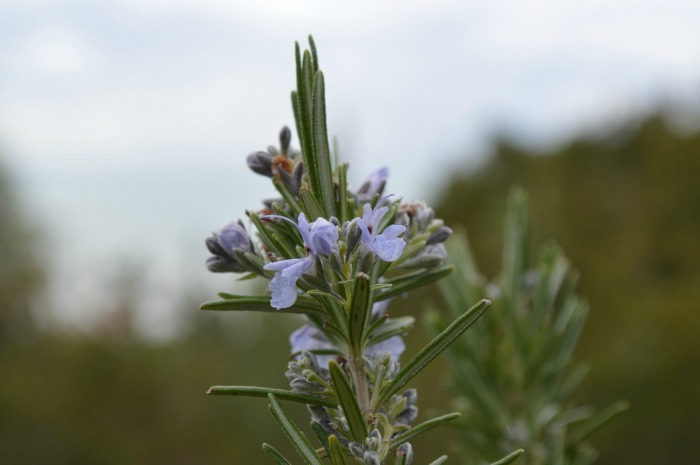 Rosemary is a perennial, so once you have it established, it will come back every year. It is very easy to grow as a shrub in the ground but can be a little finicky to get going in planters but is worth the effort. There is nothing like stepping out onto your patio with a pair of kitchen shears and walking back into the house with the rosemary you need for your recipe. I have all of of my herbs growing in pots on the edge of my patio now. for zones 7 and warmer, the plant will grow outdoors all year long. In zones 6 and cooler, bring it indoors over the winter. plants are slow growing at first but should pick up for you in the second year. Older plants will get quite “woody” but still produce fragrant sprigs. The plant will tolerate partial shade but prefers full sun light. Rosemary will flower but you can’t really count on them to do this. It sort of “flowers when it wants to!” My plant has only ever flowered one time. If you never harvest yours, you may find it will flower for you. Mine gets used weekly so it doesn’t get much chance! Be sure to have well drained soil. apply slow release fertilizer at planting and reapply in the spring each year. Keep the soil evenly moist but not soggy. It does not like wet feet. Be sure to use a good quality potting soil that drains well. 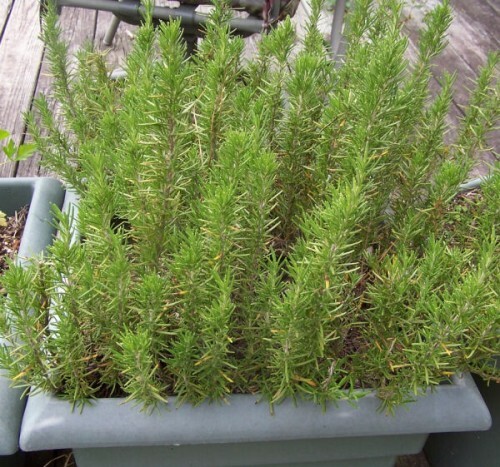 Rosemary is a pretty easy going plant that can be left to just grow for most of the time. But older plants can get a bit woody and mangy looking. If yours is like this, these for pruning rosemary will help. With the right soil and water conditions, rosemary can grow into a large evergreen hedge in warm areas. If you want to keep it contained, a planter is best. ← Freezing Buttermilk – Why waste part of the Container?